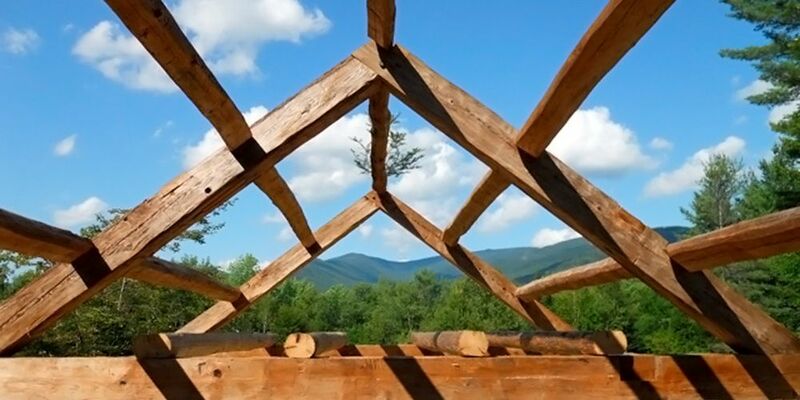 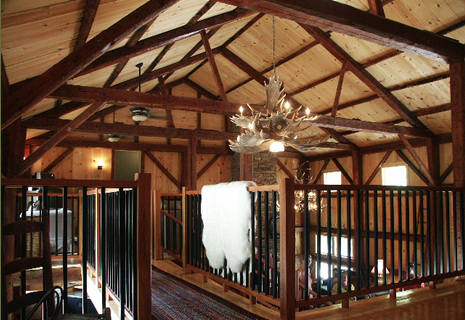 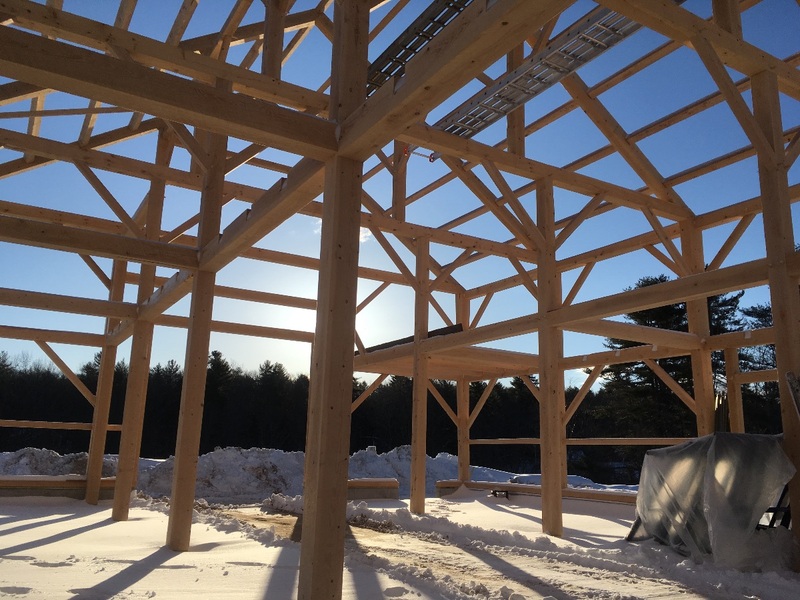 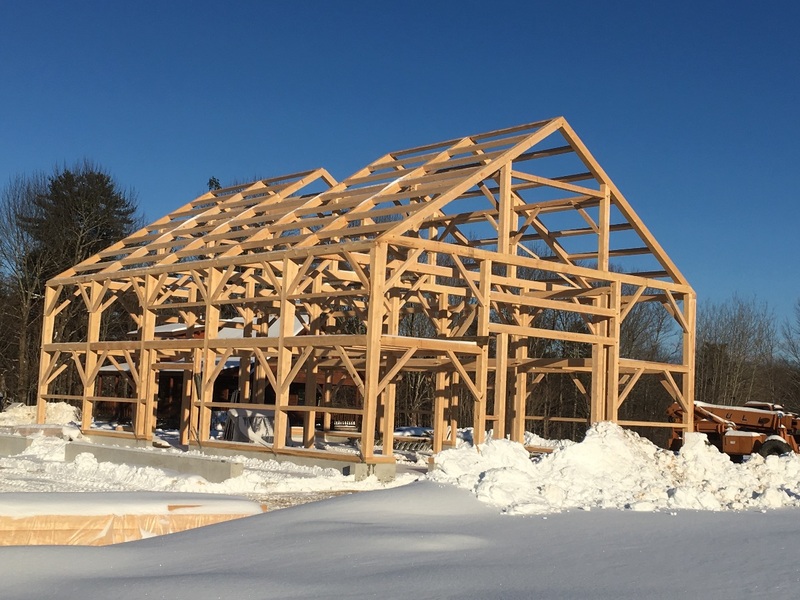 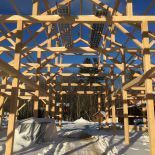 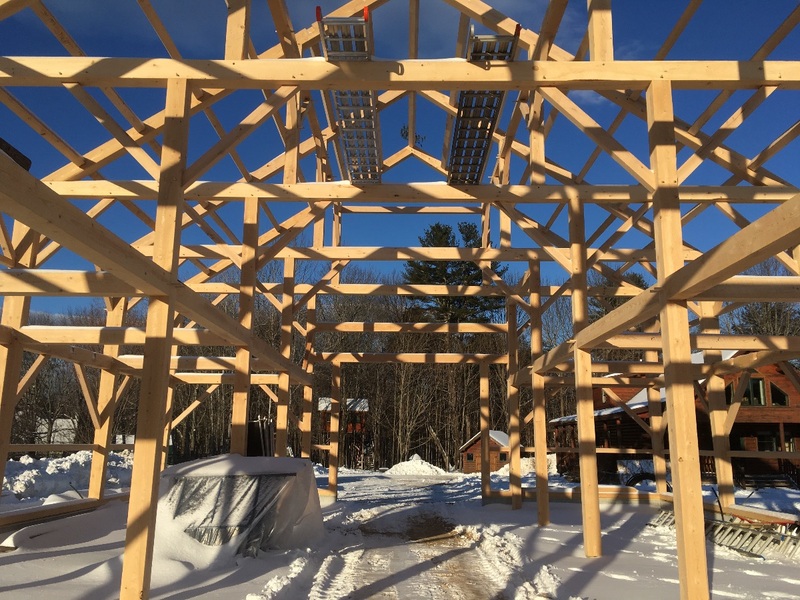 Maine Mountain Post & Beam is a timber frame company located in Fryeburg, Maine. 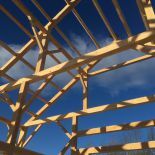 (We work nationwide.) 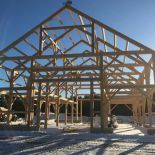 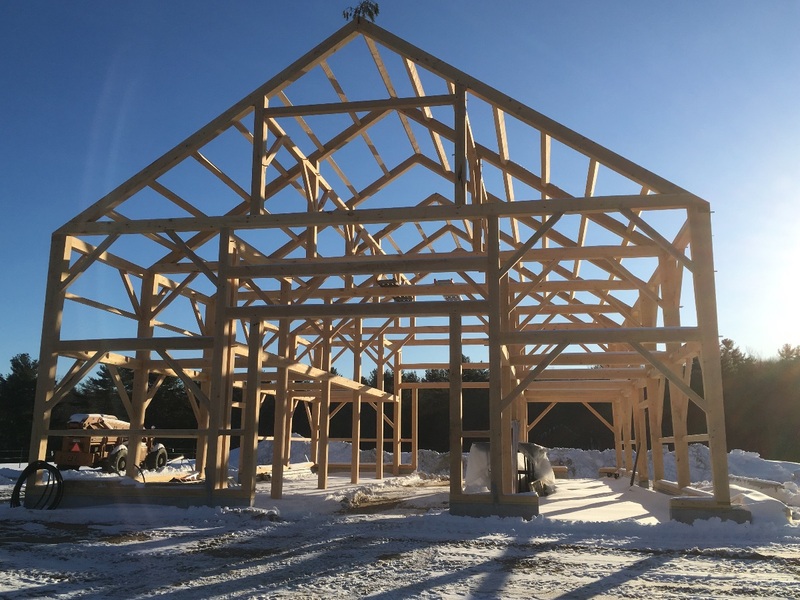 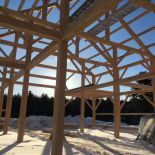 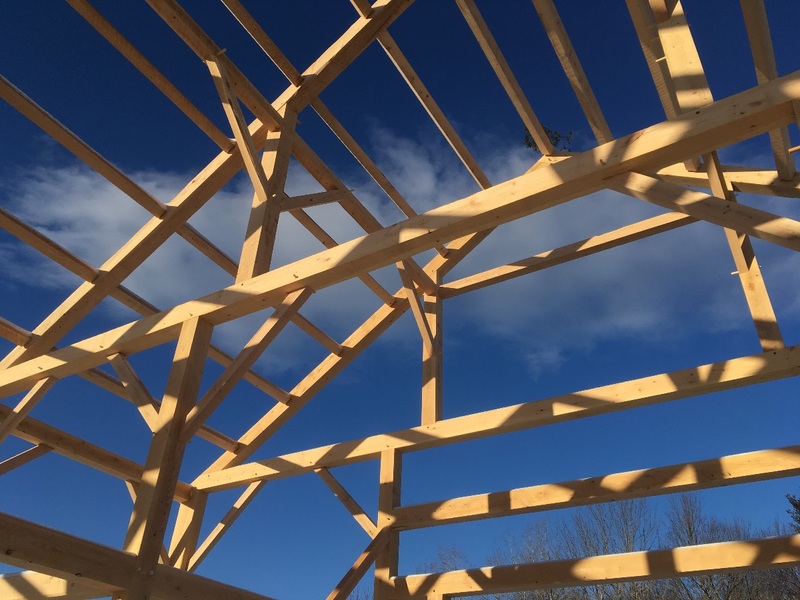 For over 20 years we have specialized in the dismantle, restoration, and re-assembly of antique timber frame buildings for both homes and barns. 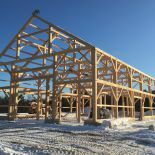 We also design, cut & erect new timber frames using traditional joinery, methods, and techniques (pegged mortise & tenon joinery, no metal fasteners). 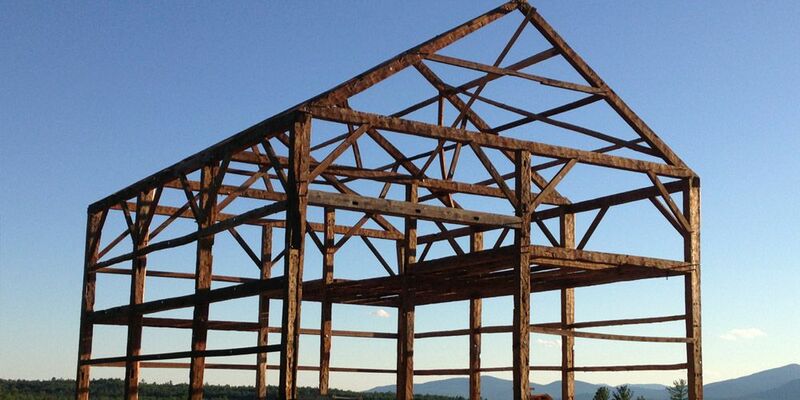 This is a 32'x36' barn frame. 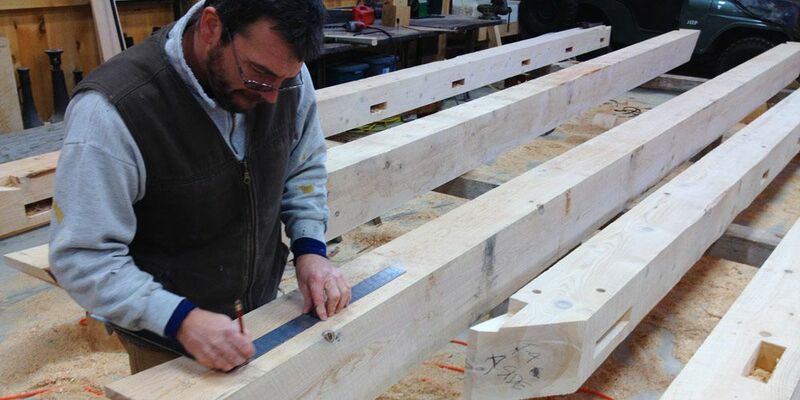 Full tie and plate frame with English Tying Joint. 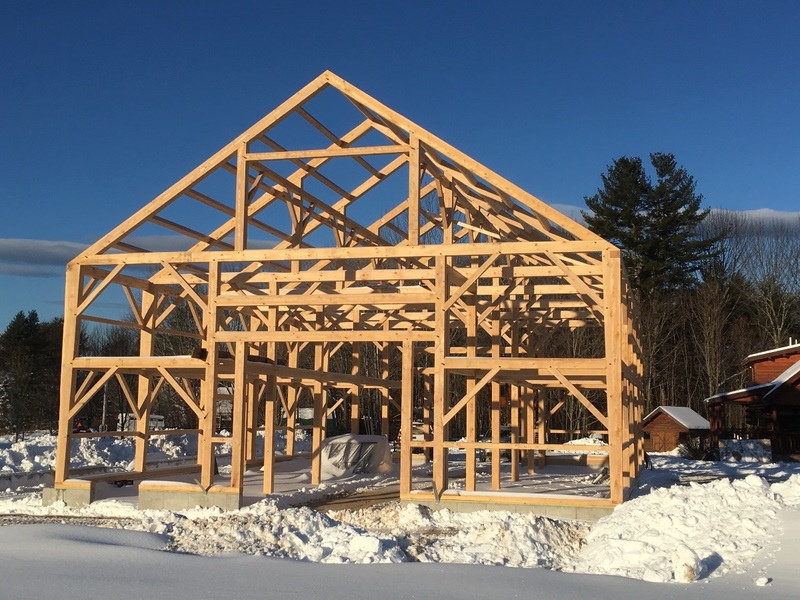 The frame will be fully insulated with finished living space on the second floor. 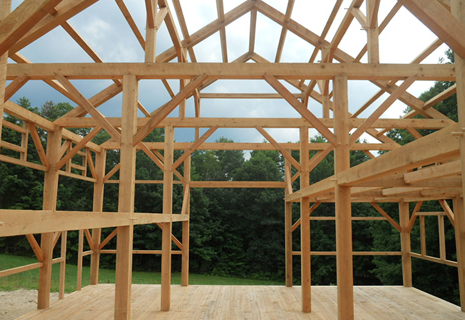 Hemlock, Oak and Pine. 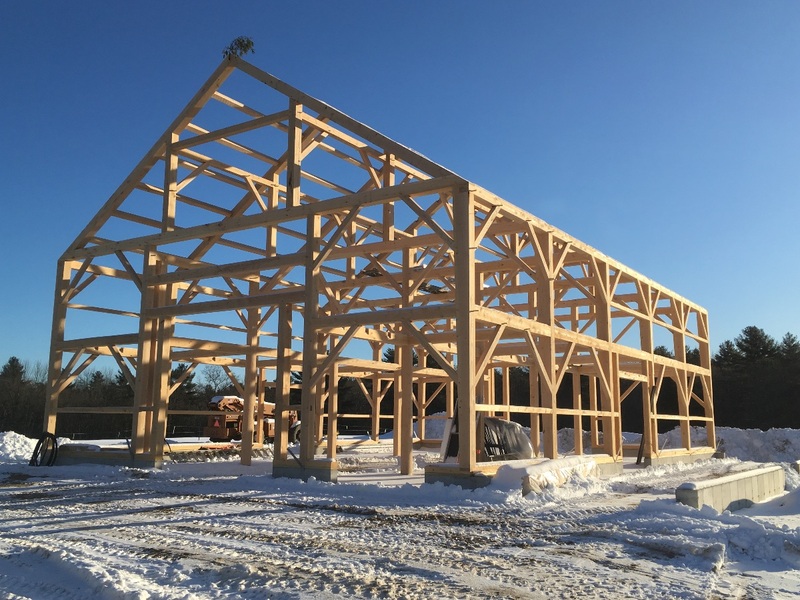 We just raised this new 42’ x 60’ Gable Entry Barn that we've been working on this winter. 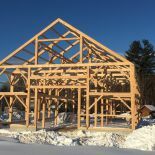 Frame is Pine, Hemlock and Oak. 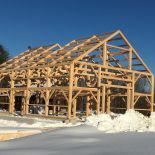 Tie beams are full 42’ timbers and the frame incorporates the English Tying Joint. 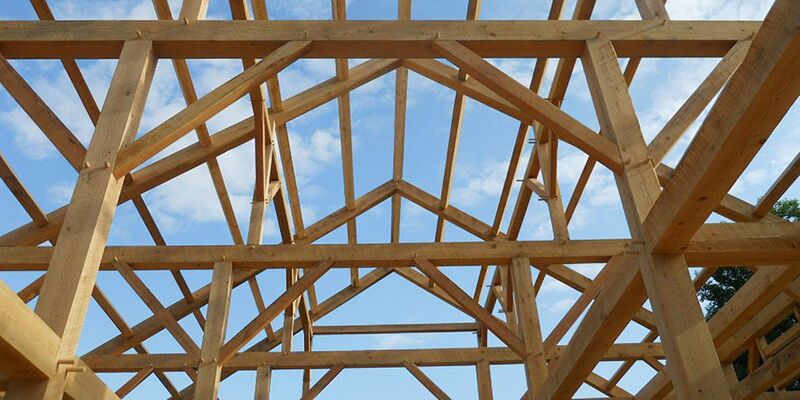 Frame design and joinery are historically correct.